Quick Checkout Error: It looks like you forgot to add the product ID option to this shortcode. Please make sure you have entered a valid WooCommerce Product ID. View this and all other Appalshop Films for only $12.99 / month with our unlimited subscription. 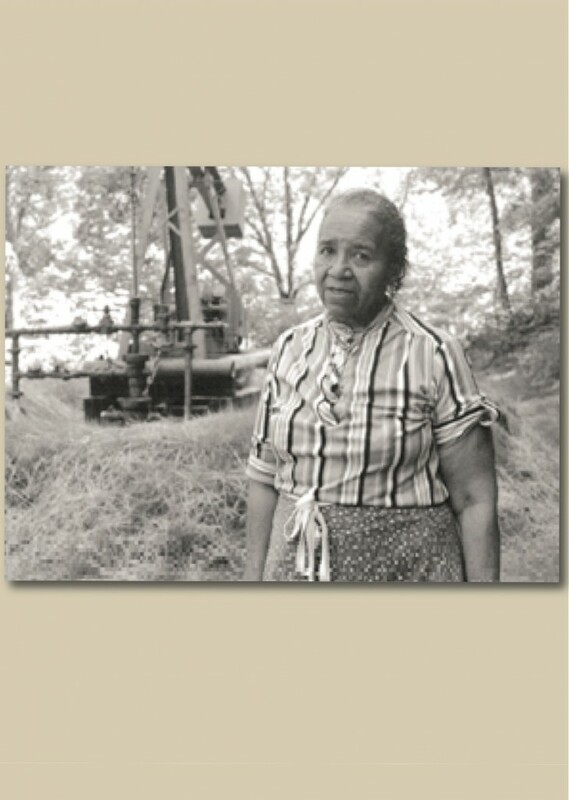 Evelyn Williams is a portrait of a woman who is many things: a coal miner’s daughter and wife; a domestic worker and mother of nine; a college student in her 50s and community organizer; an Appalachian African American. Above all, she is a woman whose awareness of class and race oppression has led her to a lifetime of activism. Now in her 80s, she is battling to save her land in eastern Kentucky from destruction by a large oil and gas firm. With humor, eloquence, and at times anger, Evelyn tells her story. Her family came to eastern Kentucky in 1922 when she was six years old. She remembers the Klan burning a cross on the mountain and describes the sense of powerlessness that followed a lynching for which the murderers were never arrested. She married a coal miner and later moved to West Virginia where her daughters were able to attend college.While her husband worked in the mines and helped organize the union, she cleaned the homes of coal company bosses. When the mines mechanized and laid off workers, the family moved to Brooklyn, N.Y. where Evelyn studied at the New School for Social Research and became active in efforts to improve her community. Her commitment to fight for justice and equality was deepened when her son was killed in Vietnam and the U.S. military misinformed and mistreated the family. Following retirement in the early 70′s, Evelyn and her husband returned to a piece of family land in Kentucky. Most recently, she has been a leader of a grassroots effort by Kentuckians for the Commonwealth to end oil and gas company use of the broadform deed to drill on surface owners’ land without their permission. In explaining her determination to preserve her land, she recalls her grandfather, an ex-slave, who said, “Take care of the land. Take care of the land. As long as you have land, you have a belonging.” The program portrays a fascinating and dynamic personality whose keen sense of communal and family history influences her determination. Through her story, Evelyn makes important connections between civil rights, women’s rights, and environmental concerns.